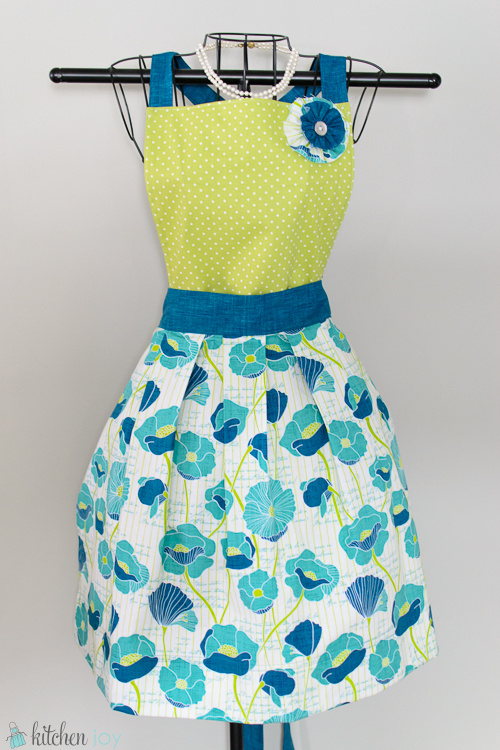 KitchenJoy Turns One, and a Convertible Apron Giveaway! One year ago today I began my little food adventure. I was working long hours and was feeling bored of the same recipes all the time and overwhelmed when it came to planning meals. I felt like I didn’t have as much time to cook as I would like (then again, who does?) and I needed to do something about it. I decided to start cooking my way through my collection of cookbooks that I have amassed over the years. I had no idea when I started this little project how much fun it would be for us. I found that making a good meal was much more fun when I had planned out my entire week’s menu and had all the groceries in the house at the beginning of the week. That’s basically how my “Cookbook of the Week” posts began. I have tried more new recipes in the last year than I can possibly count. We have only repeated a handful of recipes, and I’d say that’s pretty good considering my goal was to repeat as few recipes as possible in 2013. We’ve learned a lot this year. We’ve also eaten a lot this year. It’s been great fun. 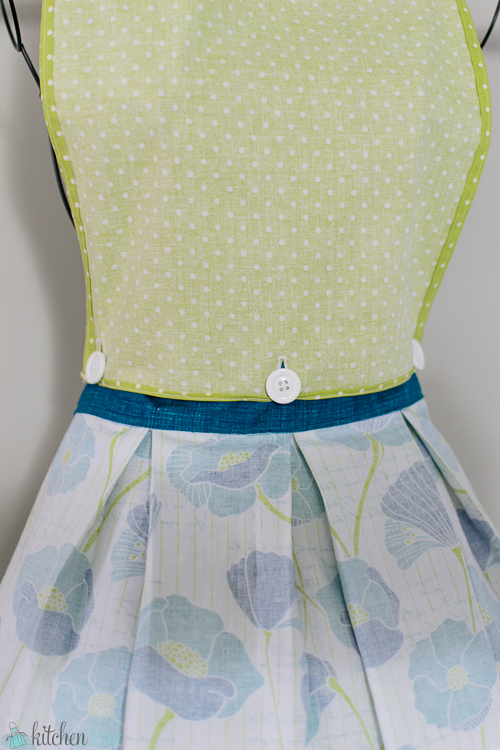 Inside View of Apron: Buttons attach the top of the apron to the inside of the waistband. By unbuttoning the top, it can be removed and worn as a waist-length apron. 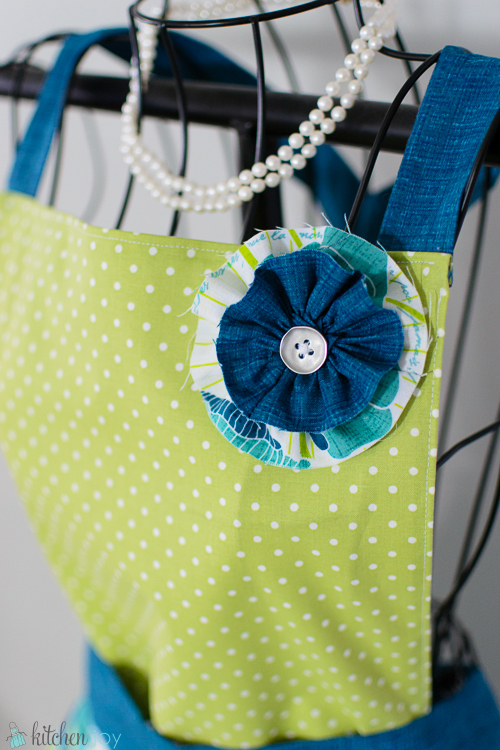 Flower Pin with Silver Button can be worn anywhere on the apron, or wear it with an outfit, or in your hair!